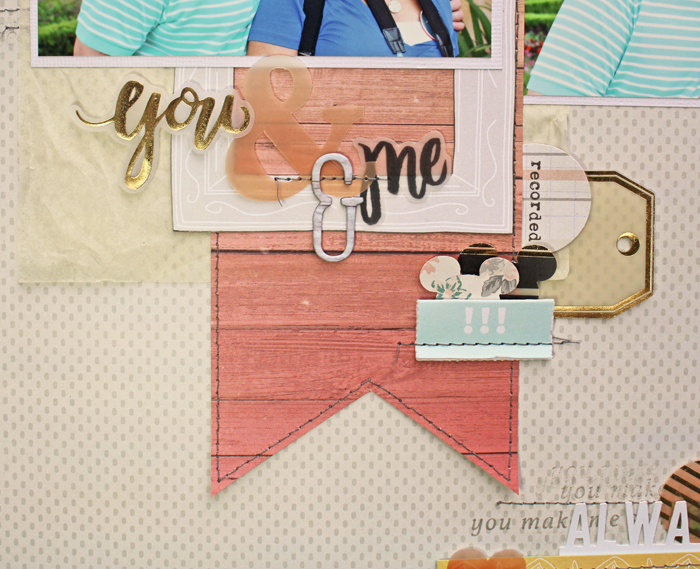 I finally get to share my first layout with the "This Must Be The Place" kit, Add on Kit, and the Sentiment Series V.4 Stamp Set. First I have to say that the light colors of this kit are wonderful for really making my photos pop and that was important for these photos because they are pretty light. 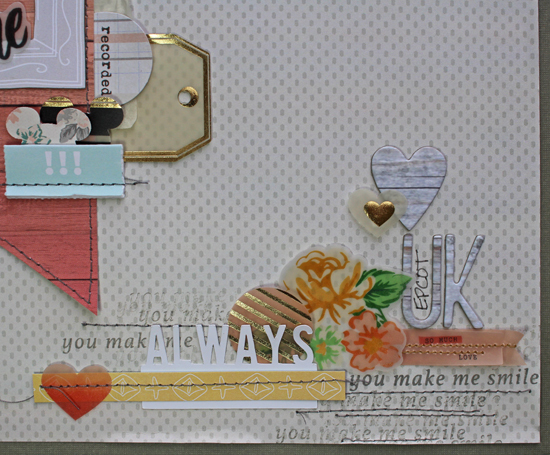 The vellum die cuts with bits of vellum are just some of my favorite embellishments in a long time. I added a layer of ivory tissue paper under my photo for a bit of texture, plus I had it on my coffee table from a holiday gift :) I also matted my page with some grey cardstock from my stash. Since the vellum tag was tucked behind some things, I punched a mickey icon from the end that was tucked behind the other papers. I used one of the Sentiment Series V.4 stamps and just stamped it over and over on my background and then added some lines of machine stitching. Pretty page! That kit was perfect for those cute pics of you two!